If you usually equate drum solos with bathroom breaks, the terrific new film Whiplash will change your tune. 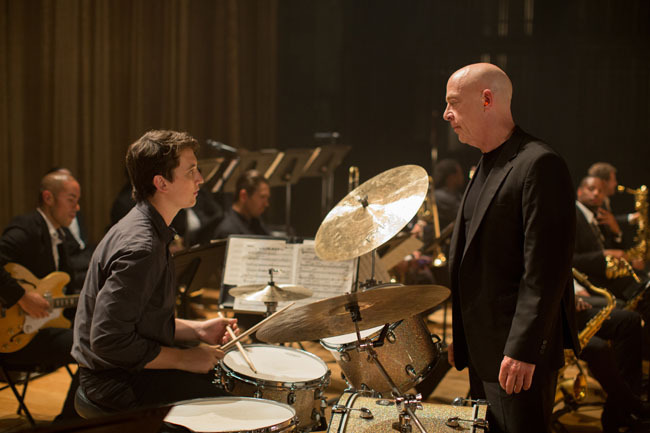 Miles Teller, who’s Jewish via his father’s side, plays young Jewish drum prodigy Andrew Neyman, whose obsessive determination to make it as a jazz musician has a major obstacle in a frighteningly passive-aggressive professor (J.K. Simmons) who drives him to the breaking point. Both actors are Oscar-worthy in the drama, which was a hit at Sundance, and Jewish actor Paul Reiser shines as Andrew’s sympathetic father. Playing now in select cities, Whiplash opens in wider release in the coming weeks. 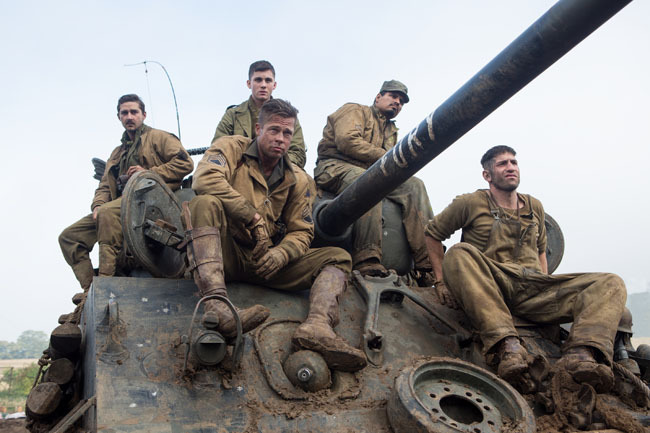 In the intense and brutal World War II drama Fury, Brad Pitt leads an armored tank crew caught behind enemy lines that includes Shia LaBeouf (from an interfaith family) as a Bible-quoting soldier and Jewish actor Logan Lerman (Noah, Percy Jackson) who is excellent as the rookie gunner. Jason Isaacs, also Jewish, plays the platoon captain in the movie, which opens October 17. Robert Downey Jr. is Jewish on his father’s side and his wife Susan Downey is Jewish (née Levin)—they married in a Jewish ceremony in 2005. They’re partners in business too, and the first film from their Team Downey production company to reach theaters is The Judge, an absorbing courtroom and family drama starring Robert as a self-absorbed, hotshot Chicago lawyer who returns to his Indiana home town for his mother’s funeral and stays to defend his estranged father (Robert Duvall), a judge, in a hit-and-run case. Both actors are superb, as is the stellar supporting cast, which includes Vincent D’Onofrio, Billy Bob Thornton, Vera Farmiga, Jeremy Strong and Dax Shepard. Team Downey has several projects in development, new movie versions of Perry Mason and Pinocchio (with Downey as Gepetto) among them.